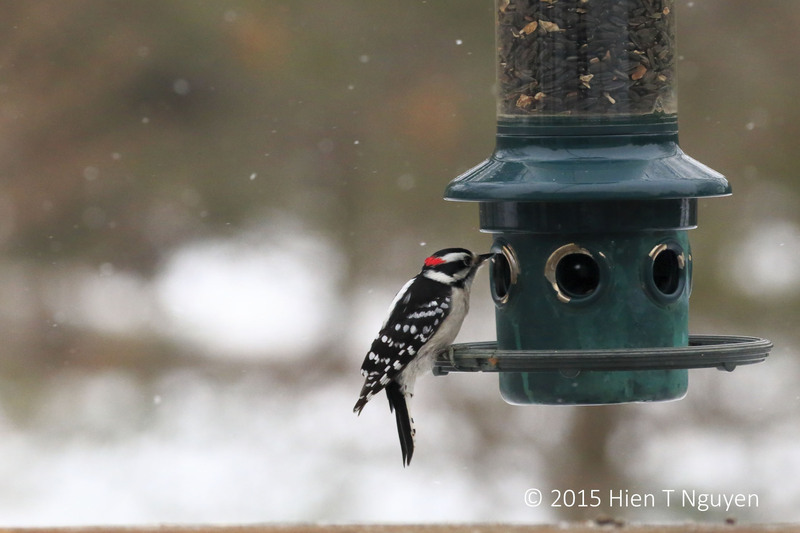 It was snowing, and a Downy Woodpecker was dining by himself. 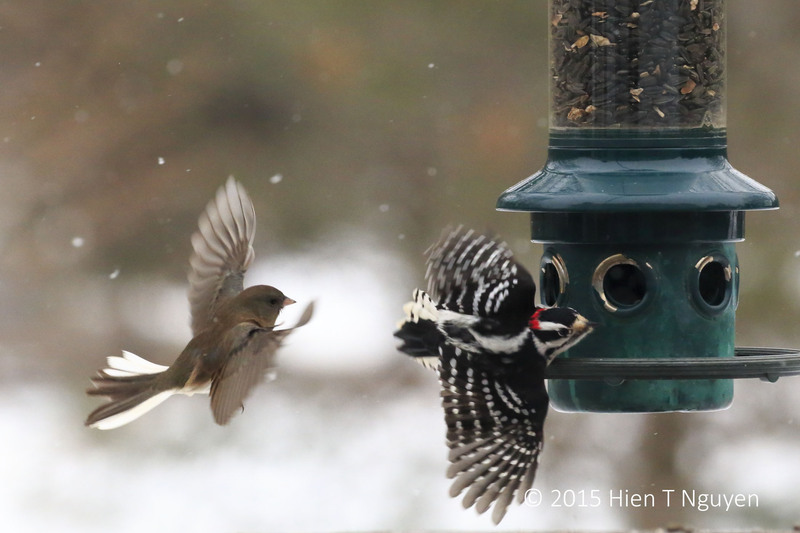 Downy Woodpecker at bird feeder. Out of nowhere, an aggressive Junco flew in and chased it away from its perch. A fraction of a second later, this is what it looked like. 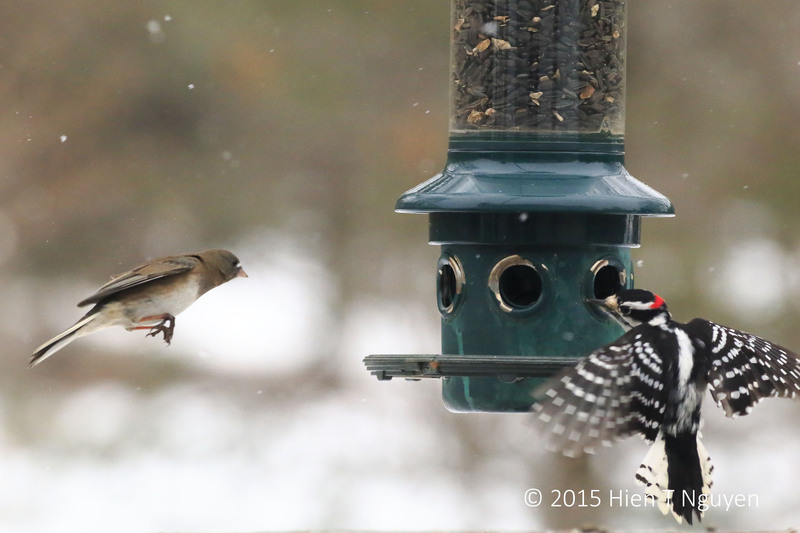 Junco landing and Downy Woodpecker trying to grab on at new position. It looks like Downy is giving Mr Junko the evil eye and rightly so. Another amazing capture Hein.